We sometimes see giraffe demonstrating an action called Osteophagia, which involves them eating bones. We’ll see a giraffe pick up a piece of bone from the ground, throwing its head around to reposition the bone into a comfortable position and salivating a little more than usual. 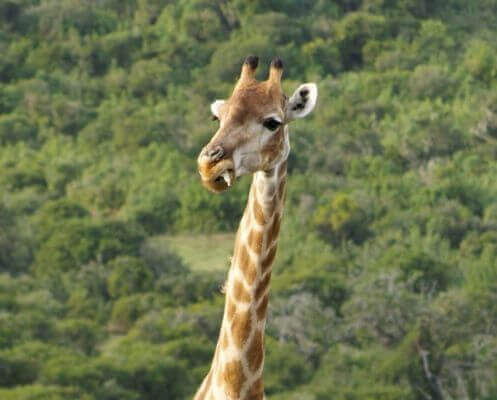 They giraffe doesn’t consume the entire bone. It will chew it until a point and then move onto another area or discard it. The salvia and rumen soften the bone particles further during digestion. The bones release small amounts of calcium and phosphorous. Giraffe normally get these minerals from browsing of trees and plants but to maintain their large bone structure, supplements are to their advantage.